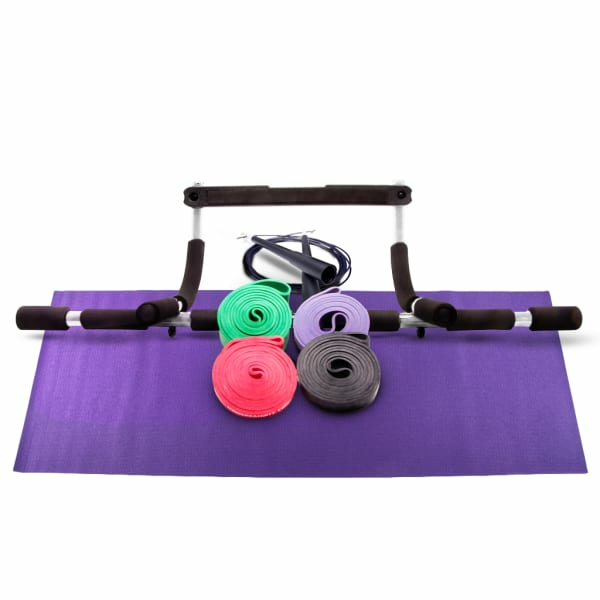 The Calisthenics Unity Complete Home Kit comes complete with everything needed to get a full bodyweight training workout in the comfort of your own home, at a park, or at the gym. The kit components were carefully selected by Christian Nielsen with the purpose of offering the full range of portable training tools needed for both male and female from beginner to advanced. 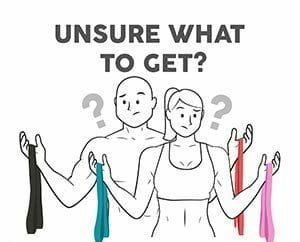 - 4 RubberBanditz resistance bands: (10-150 lbs) [4-45 kg]. These bands are layered for maximum durability. - 1 Speed Jump Rope: Customize the size by snipping off the ends to reduce the length and then tightening the screws. - 1 Door Pullup Bar: Removable without screws and usable on almost any door 24"-32" (61-81 cm). - 1 Yoga Floor Mat: Standard one size fits all yoga mat.